Remember that unfinished bathroom in the basement, or that new kitchen you have your heart set on? At Hamilton Plumbing, we can make that vision in your head a reality. We have been providing exceptional plumbing service to new construction and renovation projects for a number of years in the Hamilton area. We have the experience, manpower, and professional edge that makes our plumbing Hamilton Ontario experts so appealing to our customers. Come see the difference we can make in your next new construction project or home renovation. When it comes to hiring a plumbing company to complete all the rough and final plumbing, you want someone who can work efficiently, reliably, and produce quality work. With our expert plumbers you get all of that and more. We have been exceeding our client’s expectations time and time again. Our plumbers have the required hours and experience to get any plumbing job for new construction jobs done with perfection. We adhere to proper codes, use the latest install and time saving strategies, and work with high quality fixtures and materials to produce a superior finish. All of our plumbing is properly installed with the utmost precision. We work around carpenters, painters, and other craftsman’s schedules, and get our work done in a timely and professional manner. 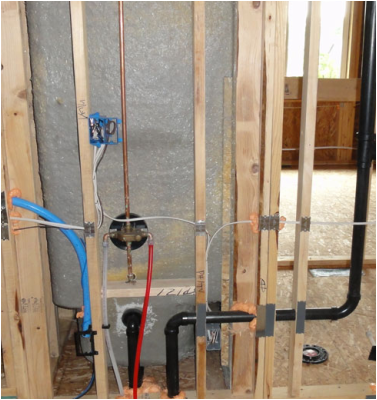 You won’t be waiting on the plumbing portion to move onto the next phase of your new construction project! Renovations can be inconvenient and costly. We help ease the frustration and worry from homeowners by scheduling when the work will be complete, and by walking you through exactly what to expect. We give free estimates and professional receipts for the cost of labour, supplies, and more. At Hamilton Plumbing, we don’t leave you with unexplained or unanswered bills. We communicate with our clients to ensure job satisfaction. Our motto is to ensure our clients are happy, so they’ll want to hire us again and again. 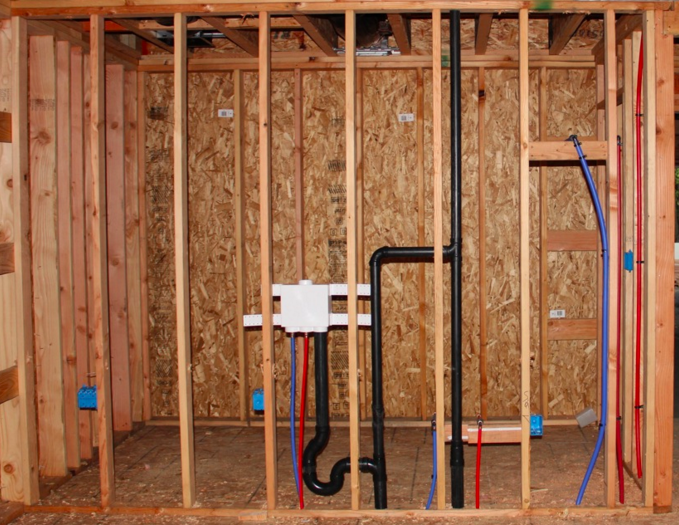 We consider the greatest form of flattery referrals to friends and family to meet all their plumbing needs. Having a renovation going on under your roof is loud, messy, and a major interruption. We do our utmost to be sensitive and professional when doing home renovations. We have helped clients renovate kitchens, bathrooms, laundry rooms, garages, and more. We can even help with your pool installation when the proper stage comes. We reconfigure kitchens for more convenience and function, turn outdated bathrooms into works of art, replace fixtures, remove bathtubs, install new and efficient toilets, and can turn your kitchen or bathroom into truly transformed spaces, worthy of a spot on a magazine cover. Our team can even install new underground piping in Hamilton Ontario for you or your business. If you’re thinking of building or simply renovating your current home, then our plumbers can help. Hamilton Plumbing can bring to life whatever you imagine. Let our expert Hamilton plumber team configure and install the kitchen or bathroom of your dreams.